You’ve found the perfect solution for managing your finances and tracking inventory with QuickBooks Enterprise. This blog isn’t about whether you are efficiently managing your manufacturing or distribution processes correctly. And despite what the title says, it’s not about how your team is missing out on revenue either. 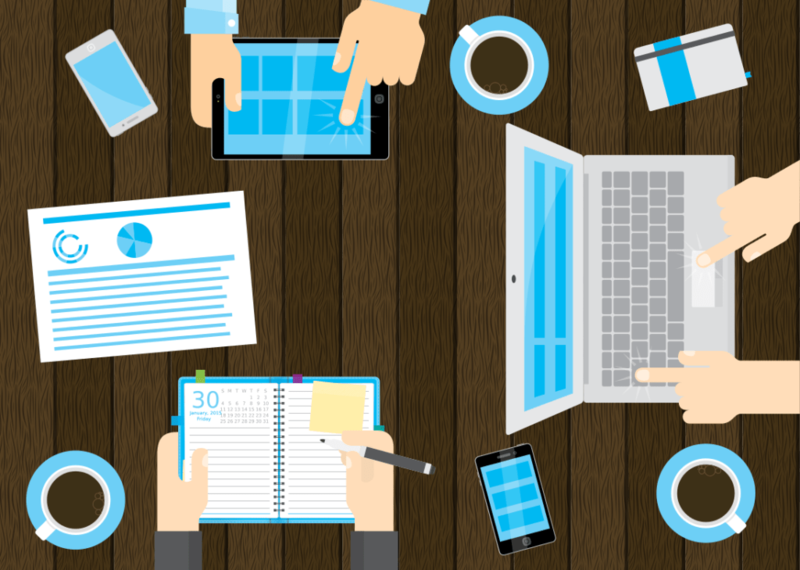 How well are you managing your customers with QuickBooks? The reason for this question is simple – the better your customer management, the more likely your customers will spend more with your business*. Therefore, understanding and addressing your customers’ needs are the key to a successful sales approach. 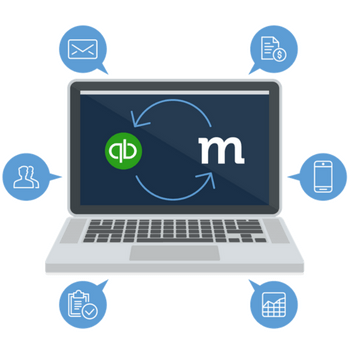 If you’re looking for a QuickBooks customer management solution in a hurry, jump here. But if you have five minutes, read on to identify how you can improve your customer management beyond Enterprise. It will be worth your time. QuickBooks Enterprise offers a Lead Center and Customer Center to track potential and existing customers. The Lead Center is the perfect place to record basic information and to include To-Do notes that remind you to follow-up on a later date. With Enterprise’s versatile and secure user roles, your sales team is able to utilize both Centers without accessing sensitive accounting data. Sounds easy but here’s the problem. 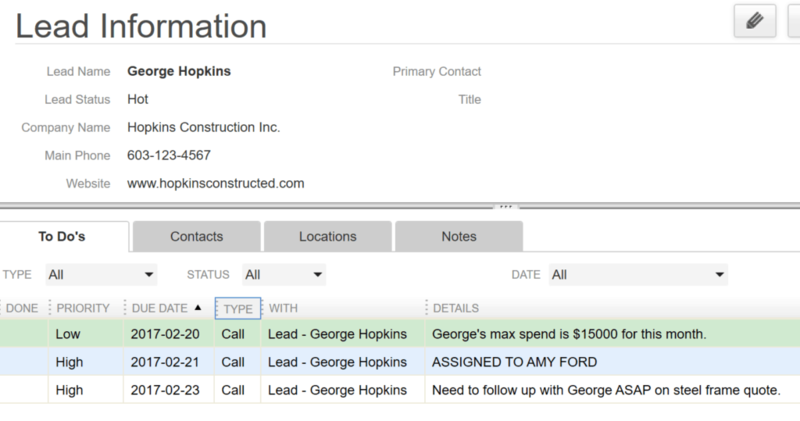 Once your sales prospects are in QuickBooks, how are you assigning leads and activities to individual sales reps? You could assign a sales rep in a To-Do Note associated with the lead, or send an e-mail if they are on the road. But how can you ensure your whole team is able to easily new leads that have been assigned in the Lead Center? There is no easy solution for this. If you rep is away from the office, they’ll have limited access to QuickBooks Desktop. When they do look into the Lead Center, they’ll be searching for newly assigned leads and tasks in a long To-Do list, costing you valuable time in reaching out to your best prospects. Recognize that your business needs more than QuickBooks for contact management – Let’s be honest – your reps shouldn’t be sorting through a massive To-Do list to find their leads and activities. They should also be able to access their lead and customer information wherever they are – especially if they are on the road. You don’t want them checking in a couple of days or a week later when your lead has gone cold. 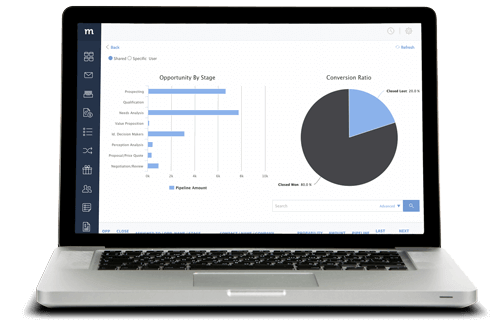 Find a solution that is easy for your team to adopt – You don’t need a complicated customer relationship management software to get the job done. 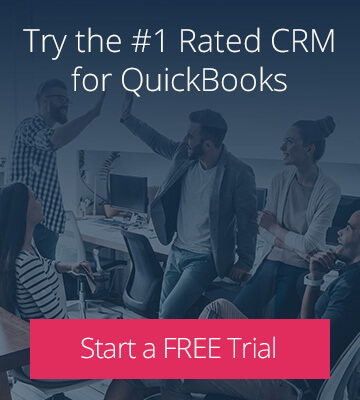 Most importantly, you need to find a cloud-based customer management solution that is accessible from any location, and clearly filters customers, leads and activities based on the assigned sales rep.
QuickBooks Enterprise offers a number of ways to analyze your sales and get a snapshot of your best customers. 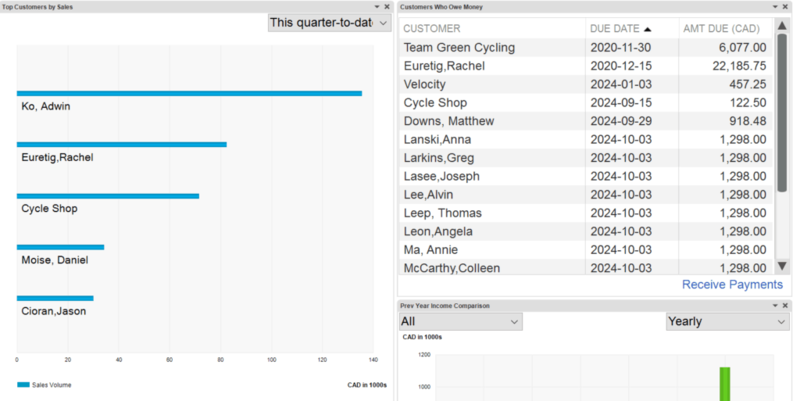 You can easily see your top performing customers and track who owes you money by accessing your Company Snapshot. It’s clear that Enterprise’s greatest reporting strengths are in understanding your financial standing and how efficient your bookkeeping is. Now ask yourself, is your team able to see how much potential revenue is in the pipeline? Do they know which leads are interested in purchasing for the first time and which customers have mentioned they will be reordering this month? Without a clear understanding of your sales pipeline, it’s difficult to track your team’s performance and analyze how many sales you’ve won and lost. Consider your opportunities as exactly what they are – opportunities. Every individual, whether a new lead or an existing customer, has potential sales transactions that should be tracked and categorized, based on your business’ needs. On the most basic level, you should have a clear understanding of both lead and customer opportunities, categorized by wins and losses. You should be able to track and locate every opportunity detail and also have a clear overview through reporting. The foundation to any successful business is successfully providing your sales team the tools for easy customer management. Despite the multifaceted features that QuickBooks Enterprise offers for manufacturers and distributors, your team needs more support in contact and opportunity management to fully engage your customers. 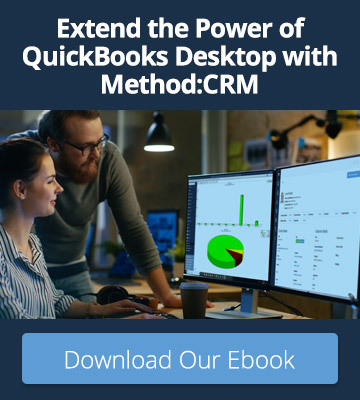 If you’re new to customer management, try Method:CRM – it’s the only CRM in the world that syncs real-time with your QuickBooks Enterprise account without purchasing an expensive, faulty integration. Invite your team to try it free for 30 days and experience better lead and customer management with seamless QuickBooks integration.